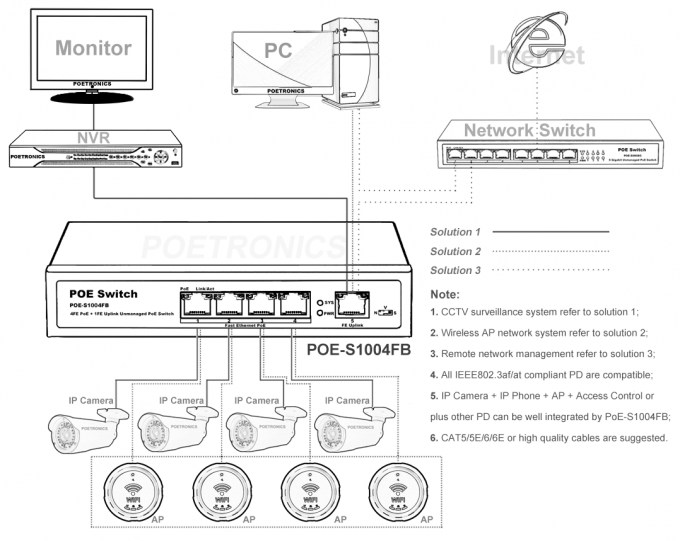 POE-S1004FB, 4 ports Fast Ethernet Power over Ethernet Switch, IEEE802.3af/at compliant, it’s the upgrade version of POE-S1004F, equipped with 65W built-in regulated power supply adapter that makes it simple and easy to operate. It comes with default normal free communication among each PoE ports, port VLAN and super remote transmission total 3 kinds of different operating modes settable. Two pieces of additional mounting racks are required for being installed on 19’’ rack or cabinet. 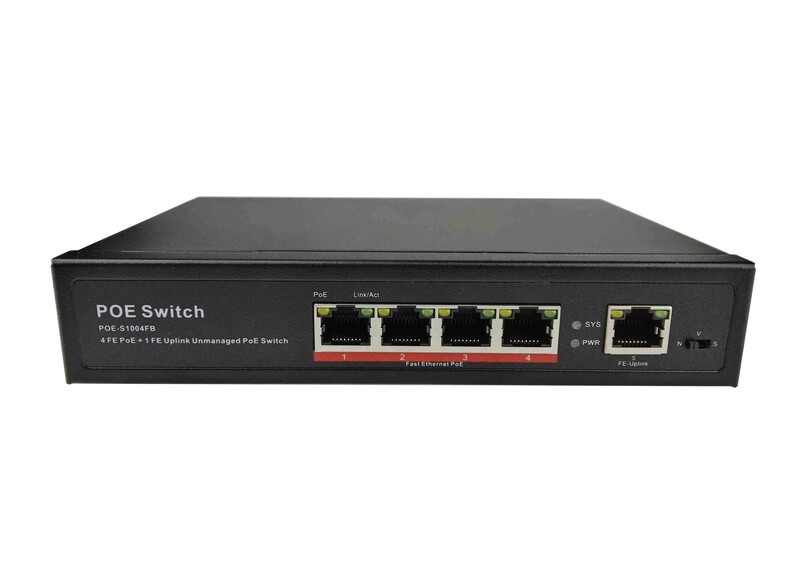 Finally, earth connection and lightning protection are both available from this PoE Switch. 4 port 10/100Mbps POE + 1 port 10/100Mbps RJ45 Uplink. Compliance with IEEE802.3af/at, IEEE802.3u, IEEE802.3ab. Auto MDI/MDIX, Store-and-forward solution, 1G bandwidth. Plug and play, self-adaption, 19’’ rack-mountable. Supports grounding connection and lightning protection. Max 30W for a single port, total rated output power 65W, Max 90W. PoE status can be read and analyzed through corresponding LED indicators. System Mode Setting D: Default free communication among all ports, apply to universal data exchange, 100-150m transmission distance.